The 53rd European Marine Biology Symposium will be organized in Ostend, Belgium by the Flanders Marine Institute (VLIZ) and LifeWatch Belgium between 17 and 21 September 2018. 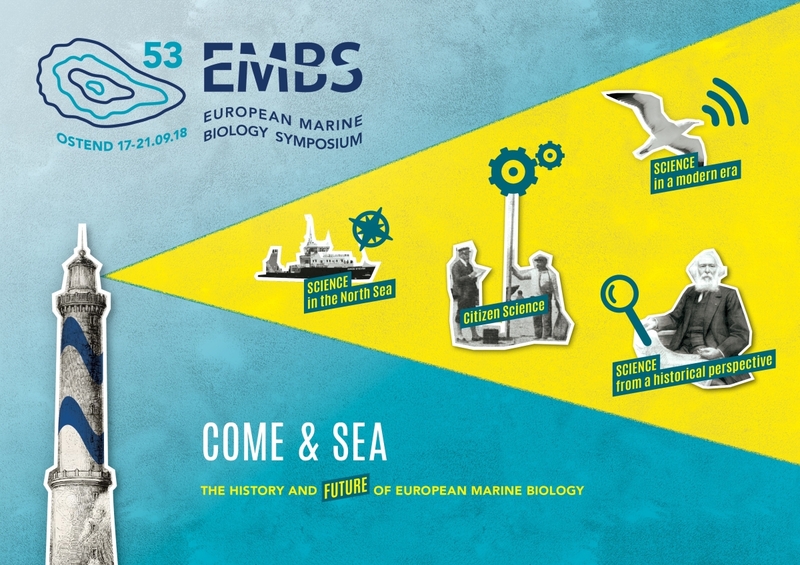 EMBS53 aims at linking history, present and future of (European) marine biology. This edition will be special, as 2018 is a celebration year in Ostend: the first marine station ever worldwide was inaugurated exactly 175 years ago, in Ostend, by professor Pierre-Joseph Van Beneden. Since then, the world of marine biology has changed dramatically - both in Belgium and Europe - especially in relation to used technologies and techniques. Online registration is open until 31 August 2018 via www.embs53.org/registration. Please note that after this date it will no longer be possible to register. There will be no on-site registration. We are glad to announce that the Journal of the Marine Biological Association (JMBA) kindly offers to publishing a special issue of the EMBS53 conference (October 2019). Everyone who contributes a poster or an oral presentation at the EMBS53 is invited to submit a manuscript by December 7, 2018. All manuscripts will go through a peer-review process. All practical information van be found on the symposium website: www.embs53.org. Follow EMBS53 also on twitter and facebook (@EMBSsymposium - #EMBS53), and on the EMBS53 YouTube channel. Don’t hesitate to share this information, the flyer or promo video with your network of marine biologists worldwide. Thank you!